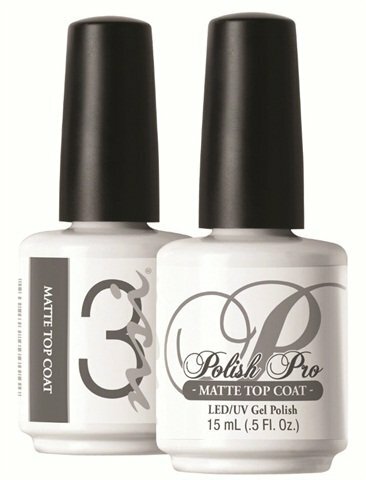 NSI’s Polish Pro Matte Top Coat gives wearers something edgier than their traditional gel-polish manicure. This top coat gives even the highest-shine colors an extraordinary matte fi nish. Whether you’re designing nail art or creating a modern French look for your client, this product is perfect over all NSI’s 77 gel-polish shades.